Having worked as a broadcast journalist and studied its history, communication and journalism professor Mike Socolow brings a unique perspective to the classroom. He teaches about the history of mass journalism, and has a particular interest in the early decades of American radio. Socolow, who was raised in Washington, D.C., joined the UMaine faculty in 2006. He is currently a Fulbright Research scholar at the News and Media Research Centre at the University of Canberra in Australia. While there, he is conducting research on global radio’s cultural impact on Australia, with a focus on national identity and sports. In layperson’s terms, what are your academic (teaching, research, scholarship) interests? I teach journalism and mass communication history. I’m interested in broadcast history, primarily the American radio networks in their first two decades, and global radio history. I also enjoy researching journalism as a practice, journalism ethics, and what happens to media of communication when they are disrupted and transform. Why did you choose to pursue those interests? My father was a television journalist who worked for CBS News for decades, so from a young age I was curious about the industry. I also always loved history, and my Ph.D. is actually in history, from Georgetown University. 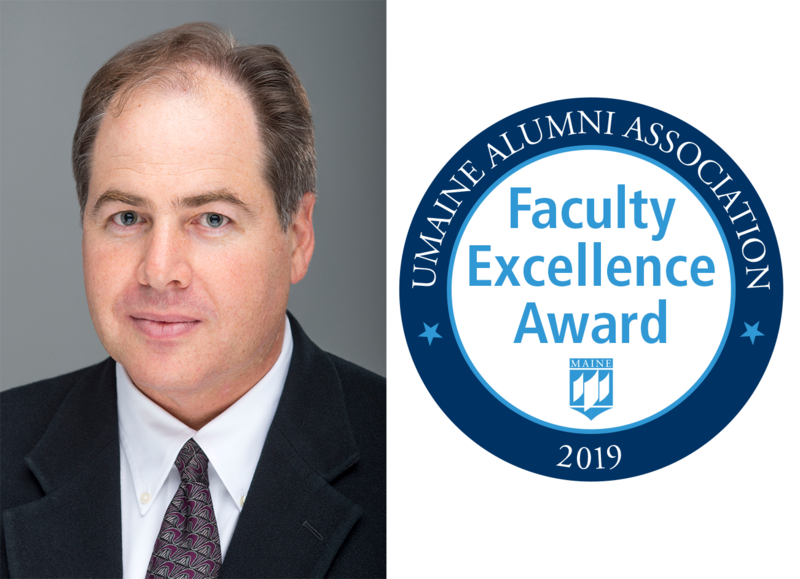 What is your most memorable event or experience as a member of the UMaine faculty? Wow – so many. Too many to choose just one. My favorite memories and experiences generally revolve around watching the success of the students I’ve taught, both at the undergraduate and graduate levels. I particularly enjoy the feeling of satisfaction and achievement when I see so many of our undergraduates succeed in journalism, or when a graduate student successfully defends a dissertation and lands a good job. Of all the courses you’ve taught at UMaine, which one do you enjoy the most? Why? Another difficult question! I’ve always loved teaching CMJ 489: Seminar in Media Ethics, and CMJ 211: Journalism Studies II. Seminar in Media Ethics is a favorite because the class revolves around ethics and contemporary media controversies, and as new ethical issues emerge all the time, the class is always being updated with interesting and engaging case studies. I enjoy teaching Journalism Studies because history is a major component of the class, and I love teaching history. What is your favorite place on campus to spend time? Aside from my office in Dunn Hall, I think Fogler Library is an amazing resource. You can find quiet space, work with excellent reference librarians, and meet colleagues and students for a cup of coffee. I also love taking my kids to the Rec Center. Aside from your faculty role, what are your interests or favorite things to do? I love to spend time with my family and travel. We’re all going to Australia for the first six months of 2019, as I’ll be a Fulbright Research scholar at the News & Media Research Centre at the University of Canberra for the semester, and we’re all very excited. In terms of more regular activities, I love to write about the media (even pieces that don’t get accepted for publication) and write about sports, and I play guitar. What advice for students do you have to help them succeed? Students should all know that college isn’t easy, and that a major component of learning in the college years is simply developing the tools to act mature, professional, and responsible. It’s not all book learning. If students learn the importance of showing up for class, managing their time effectively, and handing in assignments on time, they’ll be prepared for success in the working world. What advice for new faculty members do you have to help them succeed? Don’t be so hard on yourself, and don’t compare yourself to everyone else. Do what you do best and try to remember why you decided to become a professor when the work gets difficult. Any other advice or comments? Teaching at the University of Maine has been a joy. The school and state has afforded me so many terrific opportunities that I feel lucky to be here.